The Story Project was set up in 1996 by the Ethiopian Ministry of Education, the British Council under the directorship of Michael Sargent, and the British writer Elizabeth Laird. Over four years, Elizabeth Laird collected more than three hundred stories told to her by story tellers in the many different regions of Ethiopia, working closely in collaboration with the Regional Educational and Cultural Bureaux. 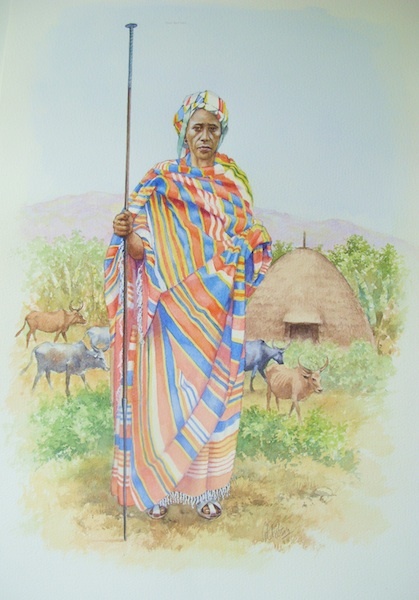 A large selection of the stories were rewritten by Elizabeth Laird in simplified English with the aim of producing readers for Ethiopian schools, so that children could increase their fluency in the reading of English while enjoying their own cultural heritage. Eight readers were produced, but it was not possible to print books for every region. However, it became clear that the collection of stories was an important cultural resource, which was in danger of being lost. Thanks to a generous grant from the Christensen Foundation, the website www.ethiopianfolktales.com was created. This contains all the original stories in the words of the translators. It is available to be read in both English and Amharic. The voices of the storytellers, in many different languages, can also be listened to. This website has also been funded by the Christensen Foundation. It publishes for the first time all eighty-eight rewritten stories, in the hope that they will inspire Ethiopian children with a love and respect for their wonderful oral heritage, while helping them with their English studies. The Lure of the Honey Bird, a personal account by Elizabeth Laird of her travels in Ethiopia to collect the stories has been published by Polygon.